Harper Add ison currently lives in Knoxville, TN where she is the Founder and Director of The Iteration Project. Additionally, she is an adjunct faculty member at Walters State Community College, conducts open professional-level contemporary classes at The Emporium and is on faculty at Studio Arts, Dancers’ Studio, and Van Metre School of Dance. As a dancer, she has appeared with Robert Moses’ KIN, Copious Dance Theater, The Gamut Dance Company (Davidson, NC), The Ailey Student Performance Group, and Alvin Ailey American Dance Theatre. She has had the privilege to work with such choreographers as Dan Wagoner, Robert Moses, Daniel Clifton, Sidra Bell, Camille A. Brown, and Lauren Slone among others. As a choreographer, her work has been presented at the Kennedy Center in Washington, D.C., Princeton University, Davidson College, Florida State University, and various venues around San Francisco. Most recently she has set work for Go! 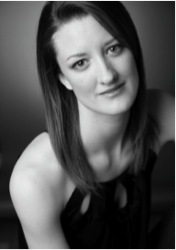 Contemporary Dance Works, Tennessee Children’s Dance Ensemble, and Circle Modern Dance. Before relocating to Knoxville, she was a choreographer in residence at the San Francisco Conservatory of Dance and the company manager for ODC’s teen company, Dance Jam. She has also worked as an intern, intern coordinator, and festival coordinator at the Vail International Dance Festival in Vail, Colorado for six years and as publicist and outreach specialist for the ODC Teen and Youth Program. She holds an MFA in Dance Performance and Choreography from Florida State University, a B.S. in Biology and minor in Southern Studies from Davidson College, and a Certificate in Dance from The Ailey School. She has attended programs at New Dialect, American Dance Festival, North Carolina School of the Arts, The Hungarian National Academy of Ballet, and the American Academy of Dance in Paris. Brief overview of training, experience, and work.